As someone who speaks several languages, people often ask me if it is possible to achieve language fluency using Rosetta Stone. Rosetta Stone is an online language-learning program that teaches many different languages. Rosetta Stone may be used via desktop or through a phone app. Rosetta Stone presents the student with a list of goals for each lesson and then breaks down grammar, vocabulary, pronunciation, and review into small pieces so that the user does not feel overwhelmed. Most languages include a basic conversational course, and they all follow a similar format. For the purposes of this review, we will focus on the Latin American Spanish course. Is Rosetta Stone an effective learning tool? Rosetta Stone teaches using the immersion method. In other words, no translations are provided. This forces the language learner to rely on their own intuition to comprehend the meaning of each word in the foreign language. This approach may work for some students, while it may not work for others. PROS: Rosetta Stone Spanish is a great tool for learning Spanish pronunciation. Correct accent and pronunciation are essential in learning any language. Once you perfect your Spanish accent, you will have a great advantage in learning Spanish. You will quickly increase your vocabulary using Rosetta Stone. CONS: During testing, our team of reviewers found that Rosetta Stone was the least effective and most frustrating way to learn Spanish. The Rosetta Stone is an Egyptian artifact used to decipher Egyptian hieroglyphs. The company which markets Rosetta Stone software, wants you to believe that their program will unlock all the "secrets" of the Spanish language - similar to the original Rosetta Stone! 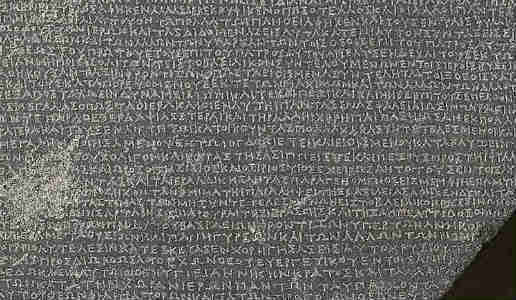 Why is the Rosetta Stone written in three languages? The Rosetta Stone is written in three languages because there were three languages being used in Egypt when it was written. The Rosetta Stone was written in hieroglyphic - a script used for religious documents. It was also written in demotic which was the common language of Egypt. In addtion, it was written in Greek. The Greeks ruled Egypt at the time the Rosetta Stone was written. The Rosetta Stone was written in three languages so that everyone in Egypt could read what it said. Each Rosetta Stone lesson uses flashcards to teach image-word associations. The student matches images to corresponding words or phrases. This is certainly an effective way to learn Spanish quickly, but why would anyone pay for this? The website, 123TeachMe.com, offers many more Spanish flashcards to teach image-word associations at NO cost to the student. 123TeachMe also offers free Spanish grammar lessons, as well as reading, listening comprehension, and pronunciation modules. The Rosetta Stone was found in a small village with the name of Rosetta (Rashid). It is called the Rosetta Stone because it was discovered in a town was called Rosetta (Rashid). Is Rosetta Stone Good For Learning Spanish? The Rosetta Stone was created around 196 B.C., but it was not discovered until 1799. The chance recovery of the Rosetta Stone was made by French soldiers who were stationed in Egypt. The Rosetta Stone was written by a group of priests in Egypt to honor the pharaoh. It lists many actions performed by the pharaoh which benefited the priests of Egypt. Rosetta Stone Language-learning Software Helps You to Learn Many languages! Deciphering the hieroglyphs on the Rosetta Stone took several hundred years. After many years of studying the Rosetta Stone and other examples of ancient Egyptian writing, Jean-François Champollion deciphered the hieroglyphs in 1822. Jean-François Champollion was not like most Americans who are familiar with only one language, he could read both Greek and coptic. He eventually discovered what the seven demotic signs in coptic were. By looking at how these signs were used in coptic he was able to work out what they stood for. Then he began tracing these demotic signs back to hieroglyphic signs. By working out what some hieroglyphs stood for, he could make educated guesses about what the other hieroglyphs stood for. Needless to say, he was not a product of the American public school system! Can You Really Learn a Language with Rosetta Stone? This website is not affiliated with the The Rosetta Project, which is creating a digital library of human languages, nor are we affiliated with, or endorsed by, Rosetta Stone® language-learning software. PROS: Rosetta Stone articles and reviews proliferate, and the subject itself progressively finds a spot, not just in connected etymology programs coordinated at language instructors, yet in addition in courses worried about etymological and linguistic hypothesis and even in other expert projects targeting, for instance, the informatively confused and impaired. Rosetta Stone helps language studenta who have this problem. CONS: Teachers and students in the field of second language securing are presently in the advantageous position of having accessible to them in a promptly open structure various center writings which set out the parameters and the seen goals of their field of study. PROS: Frequently, one feels, the battle to learn Spanish is unhelpfully energized, appearing to declare a supremacy of one over the other, or significantly more absurdly, that one or then again the other hero is superfluous. The plain truth, of course, similarly as with different teaches and fields of request using the Rosetta Stone Spanish program. CONS: Somehow or another, the historical backdrop of second language securing research gives a mirror to connected etymology look into all the more for the most part, particularly in its battle between a theoretical and an empiricist influence. Such a battle is obvious both from the writing and from the act of second language securing study and educational module. I alluded before in this Preface to two contentions for the presence of this book: what of the second - the Rosetta Stone app? Hypotheses need theoreticians, they need hypothesis, yet they additionally require an experimental base. PROS: The analogies with Rosetta Stone Spanish and Mango Spanish are clear. Regarding second-language learning students as the individuals they can progress toward becoming implies that we see understudies not regarding what they need—for their situation, full control of scholarly Spanish—however as able furthermore, clever students who, with the correct sort of help, are as ready to take an interest in learning and accomplish scholastically as their Spanish-talking peers. CONS: Today we know definitely more than we have ever thought about the nature of language and second language advancement, how language can be incorporated with subject learning, and what works for second-language learning students. There is never again a reason for low desires! PROS: Great educators describe Rosetta Stone as excellent. 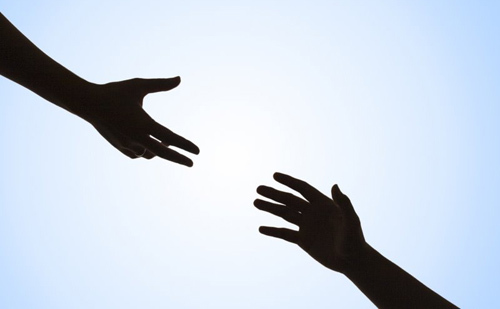 They drive their understudies to the sky and help them gain confi dence, however through the platform they give, set them up for progress as opposed to enabling them to fall. What's more, as the remarks from the choir individuals show, an imperative piece of that procedure lies in the connection between instructors and understudies. CONS: Some portion of this relationship lays on how educators utilize Rosetta Stone, also their understudies, and how understudies collaborate with one another to use Rosetta Stone. As the next section appears, each time we talk or react to an understudy, we are definitely not simply discussing the specific "content" of the exercise; we are likewise, maybe without monitoring it, developing the understudy as an equipped student who merits tuning in to, or the switch. Fifth, a race to grab natural resources in a country which moves to a mineral-energetic economy. If I can’t be one of the following I mentioned above, maybe just maybe, I will be the Department Secretary then. The handling of poisons and solvents isn’t a frequent role; however it must be revised and done carefully when carried out. Hubble and Milton Humason created a formula that could measure the velocity of the galaxies, they used some of Einstein’s equations to help them. PROS: Shad Saleem Faruqi (2003) from Univeriti Teknologi MARA reported the basic knowledge on the policy and the relation about the ethnic disparities in Malaysia. He studied at Oxford University and in 1884 went to the Royal Military Academy at Sandhurst. Additionally, these biomarkers can be measured at any point, are reproducible and can be used in prospective and retrospective studies. Now that we better understand the structure of the plant we can look at what each part does to help the plant get its food. CONS: Unlike the array of breast cancer in Caucasian women, the incidence rate in African-American women is much lower than their counterparts. Literary figures, including William Cullen Bryant, George Bancroft (1800-1891), Herman Melville (1819-1891), Nathaniel Hawthorne (1804-1864) and Evert Augustus Duyckinck (1816-1878), joined the movement. Roman law influenced most of the laws we have now and most of the laws of other countries. However, it is more distinctive and ambitious in its approach to deliver the meaningful influence as that of the earlier reforms. The economic leverage that the diamonds provided allowed the RUF to maintain in power for much longer than normally would be expected, as the size of the rebel forces was allegedly too small to exercise such a powerful grip over the nation. The band of Christianity is often linked with the creation of the Seclusion laws, or Sakoku, in the 1630s .Now the Enlightenment era occurred pretty much during the same time period. The first thing I have learned is multiple writing skills, including grammars, MLA formats, and different writing techniques. PROS: On the one hand, if high school only took three years to graduate you could also take a year off before going to college. If you can learn how to write good nonfiction ebooks, and lots of them, you can make money every month doing this. The research question addressed in the article is are death-qualified jurors more likely than excluded jurors to find a defendant guilty? Cervantes 2013: 2 argues with the definition provided by the Brundtland report based on the requirement for fulfilment of the needs which is one element. If we look for God's work in the world, we will frequently be amazed and astounded. CONS: On the other hand, this paper has examined a limited portion of Rosetta Stone, namely the effects of monetary policy on stock prices by using structural VAR. Early identification and treatment of selective feeding habits that lead to limited food repertoire is critical. The survey results indicated that 16 percent of the respondents would not have made their trip if there would not have been a bike share system. Some clinical manifestations in liver patients include: poor digestion, production of carcinoma cells in the kidneys, HE, anemia, malnutrition, dehydration, and jaundice. Rosetta Stone Spanish looks at how individuals learn specific parts of the second language, for example, punctuation, vocabulary, elocution and the composition framework, and at the methodologies they embrace in their learning and the contrasts between people. PROS: Second Language Learning using Rosetta Stone Spanish gives a prologue to the utilization of second language obtaining examination to language educating. Expecting no past foundation in second language obtaining or language showing techniques, this content begins by acquainting perusers with the fundamental issues of second language procurement explore. CONS: Rosetta Stone Spanish take a gander at second language learning in a more extensive setting – the objectives of language educating and how training techniques identify with SLA look into. This recently refreshed fifth release expands on the exhaustive extent of prior versions while additionally tending to later improvements in the field, especially multilingual ways to deal with language educating. The spread ad spot and the presentation recommend that the book can be utilized in different ways, for instance as a kind of perspective book and handbook for individual instructors, a sourcebook for instructor instructors, or as a prologue to the calling for new educators "who wish to pick up a review of hypothesis and practice". PROS: In any case, I do imagine that just educators with some strong study hall experience will get full profit by the book, and that likewise just those ready to commit time to its investigation and to examine the thoughts in it with others– by and large, instructors on formal courses– will get the most ideal use from it. CONS: It is without a doubt a shockingly versatile content, and I have utilized it with some accomplishment as a reading material on a scholastic course about English Language Teaching for college understudies of English who were imminent teachers however who had no genuine instructing background.